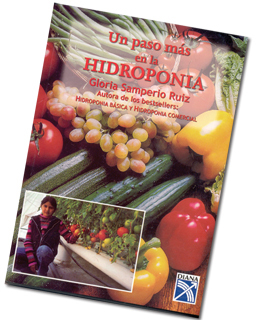 As a follow up to her successful introductory book, Gloria Samperio Ruiz has written this more encompassing work on hydroponics. Un Paso Mas covers indoor hydroponic production, more systems and overall indepth information. However, the book is written in common Spanish with limited use of confusing technical terminology.